My name is Hannah and since 2010 I’ve spent my time tattooing people. I’ve worked and guested at a number of tattoo studios around the UK and as of August 2016 I’ve been in Bristol. As of July 2017 I work at Purple Rose Tattoo studio in Fishponds, Bristol. I’ve got a degree in illustration and worked as a professional illustrator before realising I wanted to pursue a career as a tattooist. After years of taking on as many styles as I could, I now specialise in Neo traditional, new school and illustrative colour tattoos. My job is to take your tattoo ideas, as loose or solid as they may be- and turn them into the perfect tattoo for you. It doesn’t matter if you haven’t got an exact idea, we can arrange a consultation via the internet, or in person and work together to create a beautiful, custom piece of unique artwork. My goal is to help everyone get the tattoos they deserve, I will always be totally honest and help out with any tattoo related questions you might have. The more knowledgeable everyone is, the better quality of tattoos there will be out there. 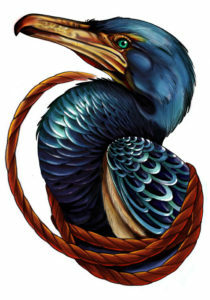 I love tattooing anything nature inspired, animals, beautiful ladies, birds, flowers and especially pet portraits! I love working in colour, but do take on the odd unusual piece of black and grey!